Sustanon is comprised of four different ester based testosterones i.e. Testosterone Propionate, Testosterone Phenylpropionate, Testosterone Isocaproate and Testosterone Decanoate. In order to understand this powerful steroid, we must understand testosterone and the manner in which esters work. This steroid enhances the nitrogen retention in the muscles and protein synthesis. Sustanon has 500 mg of testosterone per 1milliliter. It is one of the popular testosterone replacement therapy (TRT) steroids in the market. This steroid allows bodybuilders and athletes to maintain stable blood levels of the testosterone hormone with an infrequent injection schedule. It is the ideal compound for treating low testosterone. 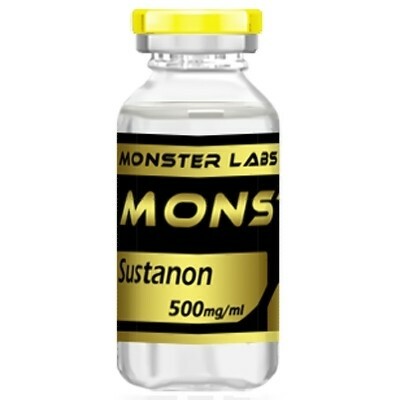 Description: Sustanon is comprised of four different ester based testosterones i.e. Testosterone Propionate, Testosterone Phenylpropionate, Testosterone Isocaproate and Testosterone Decanoate. In order to understand this powerful steroid, we must understand testosterone and the manner in which esters work. This steroid enhances the nitrogen retention in the muscles and protein synthesis. Sustanon has 500 mg of testosterone per 1milliliter. It is one of the popular testosterone replacement therapy (TRT) steroids in the market. This steroid allows bodybuilders and athletes to maintain stable blood levels of the testosterone hormone with an infrequent injection schedule. It is the ideal compound for treating low testosterone. Sustanon is also called as Dura-Testin and Sostenon and is highly recommended anabolic steroids and performance enhancing drugs to promote body strength. This compound was first introduced by Organon as an ideal HRT (Hormone Replacement Therapy) solution. It's no secret that sustanon is the most popular testosterone mixture available in the market. This compound offers numerous benefits as compare to other testosterone compounds. When it comes to performance enhancement, this compound is considered to be ideal for athletes and bodybuilders. This excellent steroid is a combination of four esters of testosterone i.e. 60mg/ml Testosterone Phenylpropionate, 30mg/ml Testosterone Propionate, 100mg/ml Testosterone Decanoate and 60mg/ml Testosterone Isocaproate. It is a popular anabolic steroid and performance enhancing compound. Its molecule formula is C19H28O2 and chemical name is 4-androsten-3-one-17beta-ol. Athletes and bodybuilders admire this drug for its unique potential to promote muscle function, muscle size, body strength, protein synthesis, performance, stamina, red blood cell production and well-being. One of the biggest benefits of this steroid is that its use doesn’t cause development of excess estrogens, which means that it can be used by those having excess estrogen formation after utilizing anabolic steroids and performance enhancing drugs. A single dose of this compound leads to an increase of total plasma testosterone with peak levels of 70 nmol/l (Cmax). Sustanon steroid must be stored at a room temperature of 20° to 25°C (68° to 77°F). Sustanon tablets must be avoided when it is expired. This steroid is cheaper than other injectable compounds making it worth. Due to its low price, you can use it a lot. It is good for testosterone replacement in men with low levels. This steroid is somewhat similar to Omnadren which is used to enhance muscle mass and reduce body fat. Sustanon is more potent than Omnadren. With this steroid, it is possible to reduce body fat and improve the ratio of muscle to body fat. Put on Mass: This excellent steroid contains a good amount of calories which is required for muscle mass with less fat. It is also beneficial to improve your body strength. Sustanon improves your metabolism. Cutting: This compound improves the cycle of cutting as it sustains the lean tissue. It is benefits to cut down the calorie intake of people and burn fat quickly. It leads to the loss of lean tissue and aids in fat burning. Enhance Performance: This compound cuts down body fat and improves your muscle mass and muscle endurance which leads to improved athletic performance. Sustanon is typically injected at least once in a week. The dosage in bodybuilding and athletes ranges from 250 to 1000 mg per week. Keep in mind that high dosages of this compound are not recommended. • It is advisable to avoid this compound if you have high blood pressure. • It is advisable to avoid this compound if you have high cholesterol. • It is advisable to avoid this compound if you suffer from prostate enlargement. • It is advisable to avoid this compound if you are not a healthy adult male.